i love all you women who can just "whip up" such gorgeous things...me? it takes 40 hours of painstaking handstitch to get something like this. Cute! 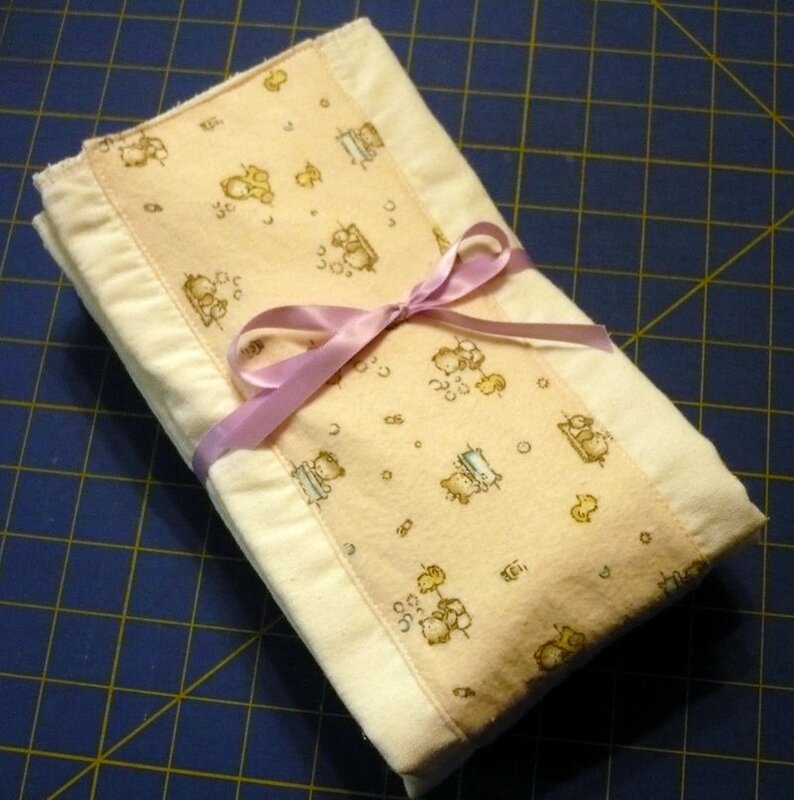 I was thinking just the other day that I really should have a few baby gift items ready to go. Such sweet fabric! Thank you again for sending the toy for Augie! And for the other goodies....you are too kind, Michelle. I really appreciate it! You are so talented. The only thing I can make on a regular basis is a mess! What cute gifts! I'll have to remember these in future. 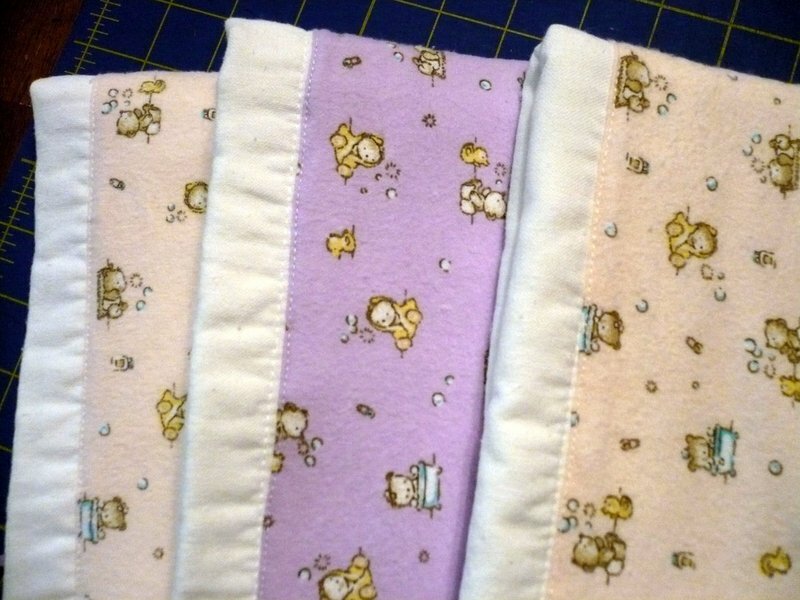 I love your burp clothes...fabulous...may have to do some for my niece! 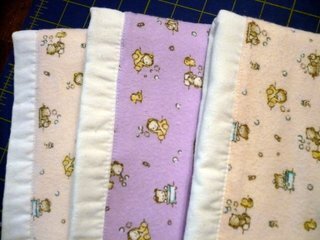 I love hand made burp cloths. I'm sure the recipients will love them too. Very nice.